This sleepy thread awakens to he sound of ... a chopper! 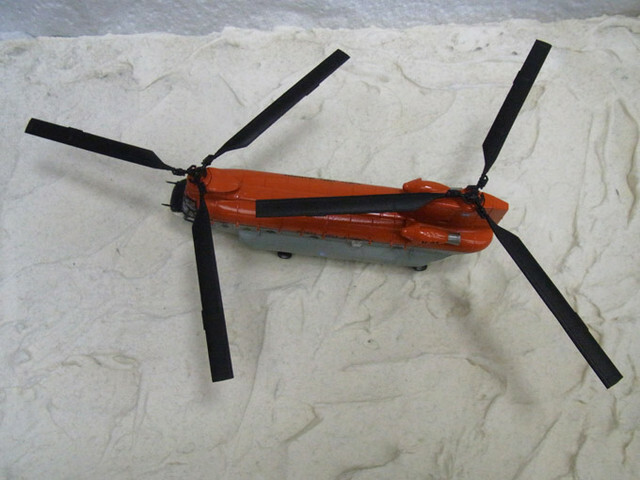 Not just any old whirlybird, but a Chinook, and not just any Chinook, either. 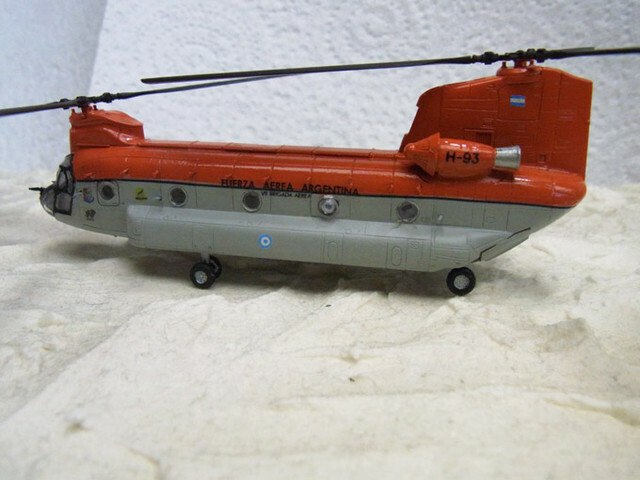 My Antarctic Division has expanded, so make room for the Argentine Antarctic Brigade's Chinook helicopter. 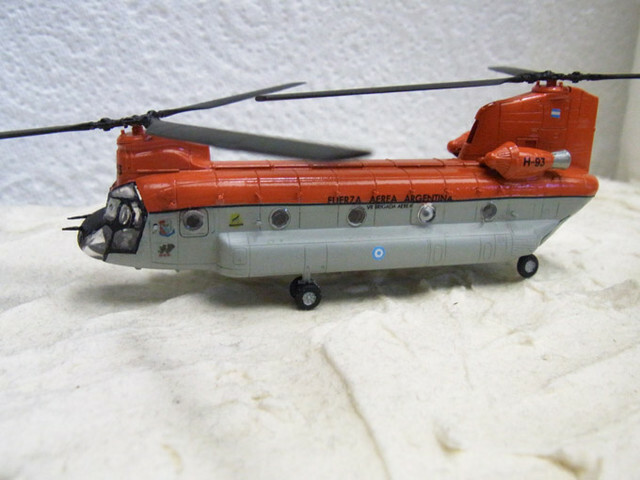 This is a little 1/144 model (11cm or 4.3 inches long), originally of a US Army Chinook, a very nicely fitting and cheap kit made by Ace Corporation in South Korea. 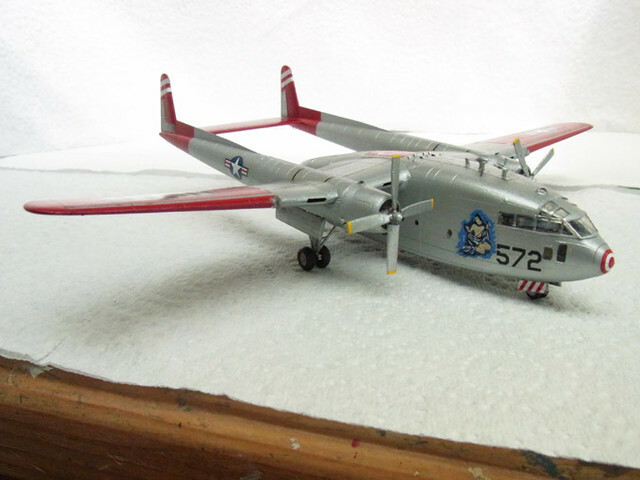 The paint and markings scheme is based on photos found on Google Images. By my loose standards, it's fairly accurate. As usual, I made up all my own decals based on photo research. While I'm not much of a helicopter fan, I'll make an exception for Chinooks, which I think are extremely cool. Though almost invisible as tiny decals, I am very fond of these two. 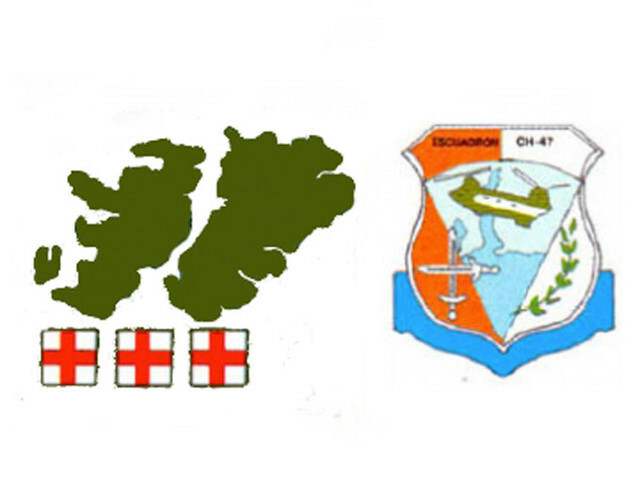 The one on the left shows the Islas Malvinas (known to Brexiters as the Falkland Islands, of course) and on the right is the official Argentinean logo for its Chinook division. 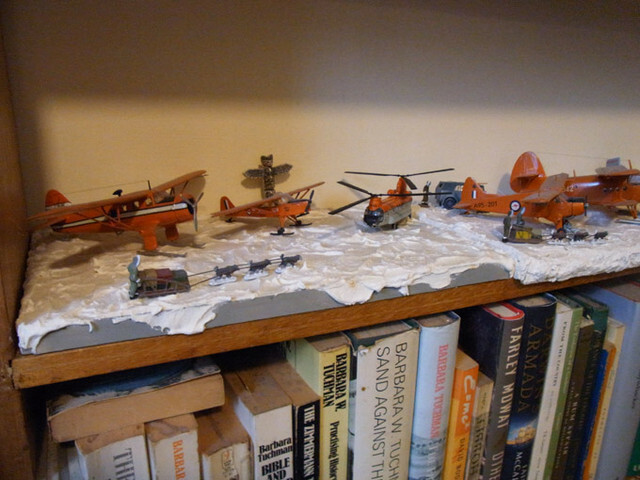 Finally, the Chinook, with its orange colouring, looks totally at home on my crowded Antarctic Division shelf. The chopper is very cool, you did a great job on the kit! Another great build and a nice addition to the rescue fleet. There used to be a couple of Chinooks at the now defunct airbase near me. Cool beasts indeed. You did a great job on the model. Another addition to my small collection of Pilot Trainer planes. This one is the little De Havilland Canada DHC-1 Chipmunk. The kit is a fairly good 1/72 scale one made by Polish company Amodel, who offers a good range of alternative subjects for people like me who don't really gives a rat's posterior about military fighters and bombers. I first read about the Chipmunk in a very enjoyable book, "Think Like a Bird" by Alex Kimbell, the memoirs of a British pilot who trained on a Chipmunk then went on to all sorts of adventures in the Middle East. 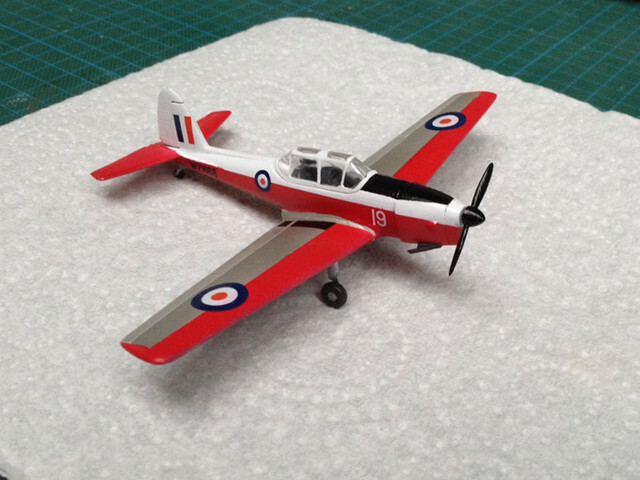 He wrote about his pilot instructors and the Chipmunk so well that I decided to build one. I really should line up my trainer planes for a group shot some time soon. Chipmunk, Tiger Moth, Ryan PT 20, Piper Cub and Stearman Kaydet. Very attractive looking plane. Nicely built too. Looks like a plane should. I just can't imagine a plane being named a Chipmunk today. I have been browsing your aircrafts and I have to say I feel the attraction of starting to collect them. I have built many models a teen, mosquitos, spitfires, messerschmitts etc... I feel that it would be nice to collect more peacfully oriented aircrafts nowadays. My first would be a DC-3 I think. I have to keep away from this thread now for a while. Yes, Johan, do stay away from this thread if you want to stop another whole branch of models filling your living spaces. But should you succumb to temptation, a DC-3 is the ideal place to start. There are lots of cheap but still nice kits available in various scales. I've built a few DC-3s, and they are all 1/144, which gives you a nice-size model that fits onto a bookshelf. A 1/72 DC-3 is a much bigger proposition. 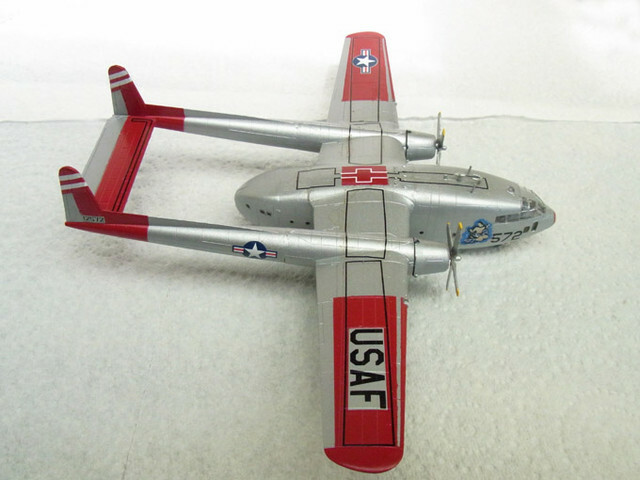 There are also several after-market decal-set makers for 1/144 scale DC-3s, so you can shop around (try eBay) for a plane livery that takes your fancy. Ozmac wrote: I've built a few DC-3s, and they are all 1/144, which gives you a nice-size model that fits onto a bookshelf. I never really understood why modellers would bother with 1/144 when there are larger kits available with more detail. I guess they have the same display issues that we have, only that the wings make it 3 times worse. The smaller scale makes more sense to me now. Glad to be of help, Ian! I for one am mostly interested in the shapes of things, and I don't care if I miss out on a lot of detail in my models. I've always loved sculpture as an art form, and I appreciate many (but not all) planes, cars and motorcycles for their shapes above all else. So a 1/144 DC-3 looks just as nice as a 1/72 one. (The one thing with the detailed aircraft model-making thing that always amuses me is the loving care some builders devote to detailing the interior of the plane — which you mostly or completely can't see when the model is built.) I guess it keeps them happily occupied for hours. Ozmac wrote: (The one thing with the detailed aircraft model-making thing that always amuses me is the loving care some builders devote to detailing the interior of the plane — which you mostly or completely can't see when the model is built.) I guess it keeps them happily occupied for hours. I agree Jamie. A friend here in Perth distributes Eduard accessories to upgrade model aircraft kits and I struggle to understand why modellers are willing to spend as much or more as they spend on a1/72 kit on upgrade items like fabric seatbelts, better wheels, landing flaps and engine exhausts. Just in time for Christmas, a new addition to this sleepy aviation thread. As usual, it's something unusual. 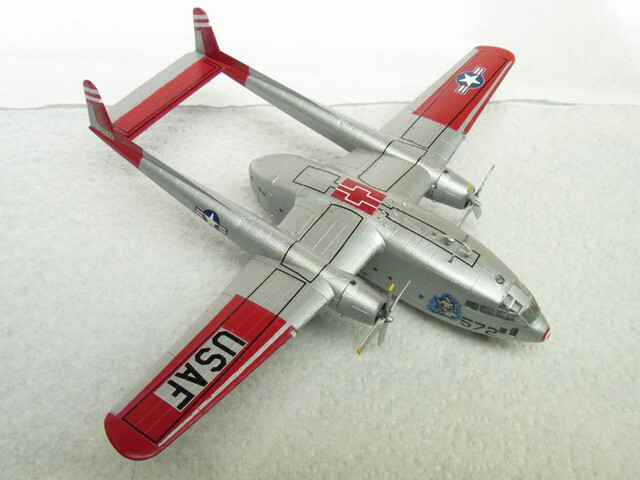 It's the Fairchild C-119, a 1950s military transport plane affectionately known as the Flying Boxcar. When introduced into service in 1949 it was regarded as a sophisticated design for a transport plane, where trucks could back up to the opening doors at the end of the fuselage, for much quicker loading and unloading. However, it lasted in service only until 1955, a short career, with 1183 of them built in that period. Quite a few of them survive and still fly. The C-119 soon passed into relative obscurity with the advent of the superb Lockheed C-130 Hercules transport in 1954, which is still serving in military roles for numerous countries in 2017. 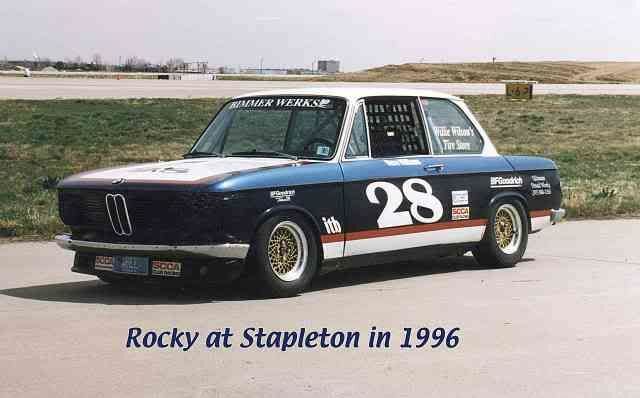 And yes, I plan to build a Hercules one of these days. I've already built a DHC Caribou, so it'll be nice to have a small military transports collection on my shelves. This model is 1/144 scale, quite nicely made by the Ukrainian company, Roden. The only failing I have noticed with the Roden models I have built so far is the thin, brittle decals — and in the case of this model, with so many fine black line decals for the wings, it was a nightmare to apply them, and they broke in a few places, hence the slight wonkiness in some lines. As for the plane itself, it's no raving beauty, but it's definitely very likeable and admirable as a good performer in its day. Jamie, careful not to drop or it will return as "The Pheonix" ! 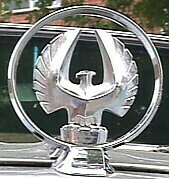 To return as the Phoenix, I think I'd have to drop it from a few thousand feet! Scale planes: another thing to be avoided like the plague. Very weird and cool. Like it a lot. I have a new found appreciation for model kits as I assist the family of my friend Tim wind up his estate. 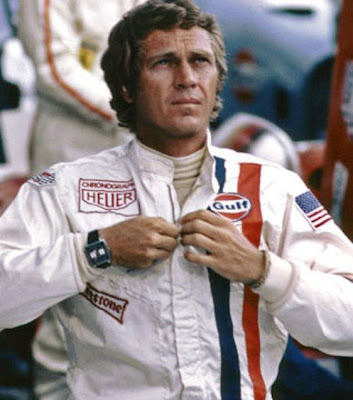 I get building a 1:48 or even a 1:72 kit, but not sure I understand 1:144 ! Enjoyed looking through the many pages of your post again. Love the Stagger Wing Beechcraft and enjoyed seeing many of your builds.